If you're considering buying a business, please do not hesitate to call us on 01702 551334 to speak to one of our experienced staff members, alternatively CLICK HERE to request a call back or ask any questions you may have. Thousands of people daily search for businesses to buy rather than starting one from scratch. People often prefer to purchase an established business as it gives them more security with taking over a going concern with an established turnover in place, as opposed to starting their own business with no established turnover which can be a risky and daunting move to make. The first stage is to review the marketing details of a business you have an initial interest in, these will normally include the asking price of the business, a brief description of the business, the turnover, rent, rates, fixtures and fittings included, which will give you an outline of the business. After reviewing the marketing details, if the business is still something of interest, the next stage would be to arrange a viewing of the business. To arrange a viewing of a business, contact Bradleys Countrywide and they will endeavour to find a mutually agreeable time to meet with the vendor, please never approach a business directly as often a vendor will keep a potential sale confidential from staff and customers, so please be discreet. When a suitable day and time to meet with a vendor has been arranged through us, you would then view the business and have the opportunity to ask any questions you may have relating to the business directly to the business owner, so it’s advisable that you prepare a set of questions you want answering in advance of the viewing. If the business is still something of interest after viewing and speaking with the vendor, contact us to give your thoughts, register further interest in the business and request any further information you require. After viewing the business, the next step is to request any further information you may require to assist you in making a decision on whether a business is the right one for you. A copy of the lease, accounts or further financial information are examples of commonly requested things at this stage. Subject to vendor's consent, that information can be provided to you to review yourself or sometimes applicants like to have accounts/further financial information looked over by an accountant or a lease looked over by a solicitor. If you have any other questions that you need answering, whether they be questions for the vendor regarding the business itself or whether they are questions to us on how we came to the value of the business, this is the time to ask us to find out the answers, before solicitors are instructed and costs start to be incurred. At this stage if you feel like you’re in a position to make an offer, first make sure that you can raise or already have sufficient funds in place to purchase the business. If you don’t know or have any questions on what costs can be expected on a transaction, please do not hesitate to contact us and we will be happy to discuss them with you. Once you’ve satisfied yourself with all further information, had all questions answered that you need answering and you have all the required funds in place for the purchase, the next stage is to make an offer. 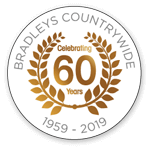 Submit an offer to Bradleys Countrywide, we will generally give you our thoughts on the offer considering current market conditions, how long the business has been on the market and any previous offers the vendor has received, to give you an indication on how we think the vendor will react to the offer. We would then submit the offer to the vendor to get their thoughts and instructions on that. We would then let you know whether the offer is acceptable and if not, we would let you know what the vendor's comments were on the offer. If your offer was not acceptable, you can submit an increased offer if you want, and the same process would follow. When an offer is accepted the next step is to get the sale set up with solicitors. When an offer is accepted, we will usually request a deposit, proof of finance, solicitors’ details and referees that we can write to in order to obtain references for the landlord, if you are purchasing a leasehold business. To help both buyers and sellers we have many established contacts with commercial solicitors and commercial finance companies who can assist. Upon receipt of all information requested and a deposit being received, Heads of Terms are prepared then issued to all parties including the seller, buyer and both solicitors acting for them to officially set the sale up.